On the 18th of April this year Zimbabwe celebrated 32 years of Independence. The reality though is that few were rejoicing. The freedom that was promised three decades earlier has become oppression, the democracy blacks fought a war and died for turned into dictatorship, and independence from 100 years of colonial rule turned into enslavement to a brutal regime. 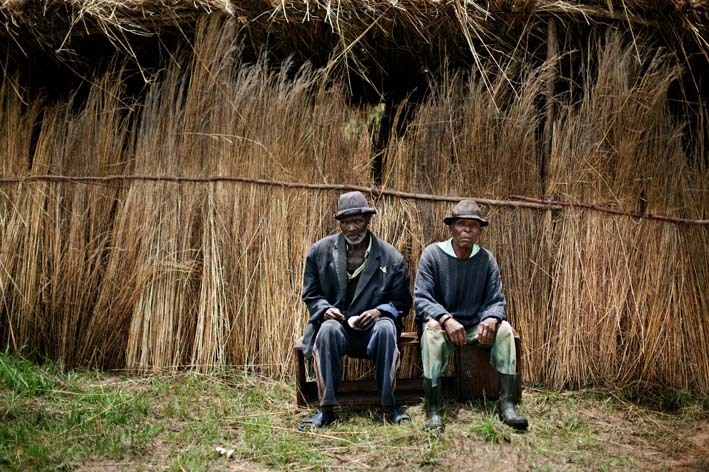 With the support of the Carmignac Gestion Photojournalism Award, this is what I went to Zimbabwe to document – 32 years of a country in violent decline. I travelled extensively over the months I was there. Constantly I had to stay one step ahead of informants, police, intelligence officers and the so-called war veterans who had become beneficiaries of the Mugabe government. On two occasions the officials caught up with me. I spent 26 days in prison and was eventually deported and declared a ‘Prohibited Immigrant'. My interaction with fellow prisoners reaffirmed my impression that Zimbabweans are some of the friendliest people in the world, and my interrogation at the hands of the police made me understand why this is a country living in fear. Before my time in prison I understood that fear on an intellectual level, after, I understood it on a much deeper emotional one. 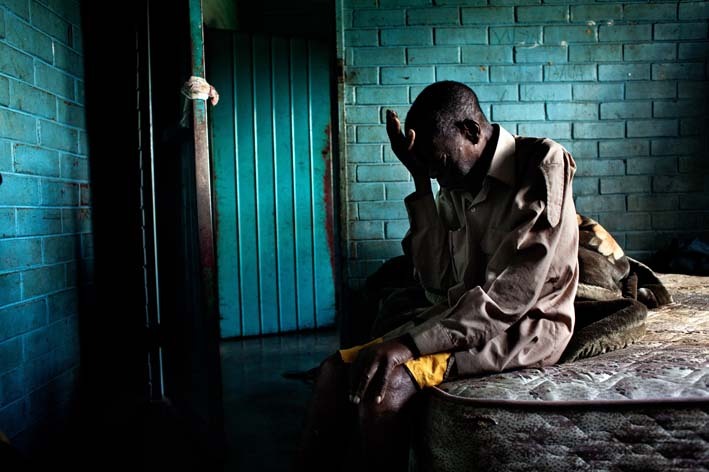 Fear and loss go hand in hand in Zimbabwe. From early on in his rule President Mugabe showed his brutal hand. Gukurahundi, the government operation in the 1980s to wipe out opposition and establish a one party state, murdered 20 thousand from the Ndebele tribe. This was just a beginning. The invasion of farms, their destruction, and subsequent impoverishment of millions of farm workers, the displacement of 700,000 urban poor, the economic collapse of a country, the murdering of opposition supporters… the list goes on: A litany of crimes against his own people that led to a perfect storm of despair and in 2008 the lowest life expectancy in the world. 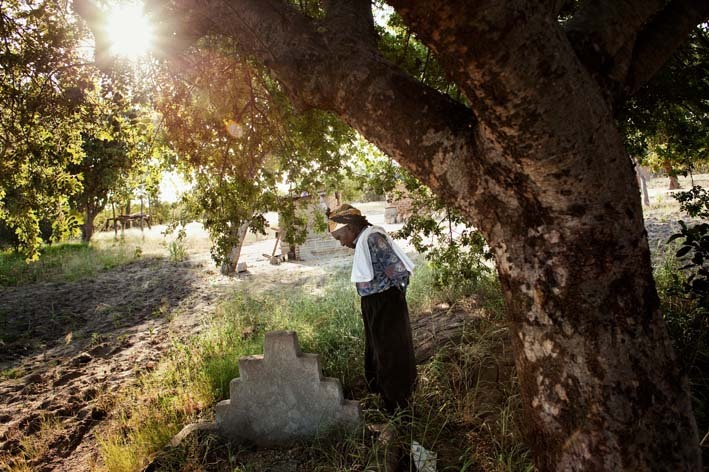 I met survivors of Gukurahundi and photographed the ruins of torture camps where many met their fate. The skeletal remains of greenhouses that once grew roses for the florists of Europe were, in my mind, mirrored by the rib cages of the dying I met in an AIDS hospice in the capital Harare. The industrial zones, their silent factories monument to a noisy, bustling and productive past, were echoed by the thousands of decaying railway carriages whose ghostly, rusted shells left no evidence of the passengers that once filled them. And the parentless children, so many of them, their mothers and fathers dead or gone to South Africa, cared for by exhausted grandparents edging closer to their own graves. The smiles on the faces of the people I met would disappear when talking of what they had endured. Their friendly welcome would turn into a hushed whisper. Their eyes would turn dark and shift from side to side to see who was listening. Always alert for informers, never trusting. The fear made documenting the lives of these tragic victims difficult and restrictions on media made recording the fallout dangerous.